I dont use many oriflame beauty products because the arent easily available for me as I have no contact with sales representatives. This kohl pencil was a gift from my sister which I got a year back when I was obsessed with kohl kajal pencils. These days I dont use much kajal , especially the ones which smudge and intensify my dark circles. 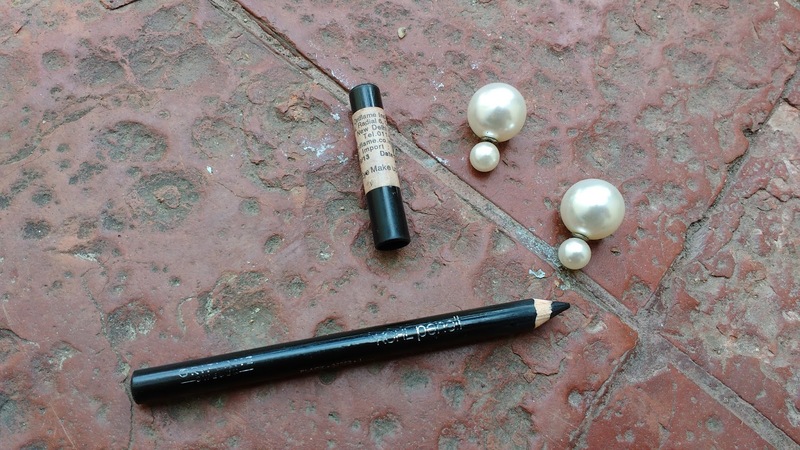 This oriflame kohl pencil smudges but the pigmentation is amazing. Read on for a detailed review. This kohl pencil is packed in a wooden pencil form which needs to be sharpened. It has a black plastic cap which fits snugly making it travel friendly. Sharpening can lead to product wastage but it is also very hygenic and this pencils gets sharpened easily with a normal pencil sharpener. I have used Oriflame Kohl Pencil on both my waterline and lash line and it works fine both ways. This pencil has decent pigmentation but I need three swipes for a rich jet black look. 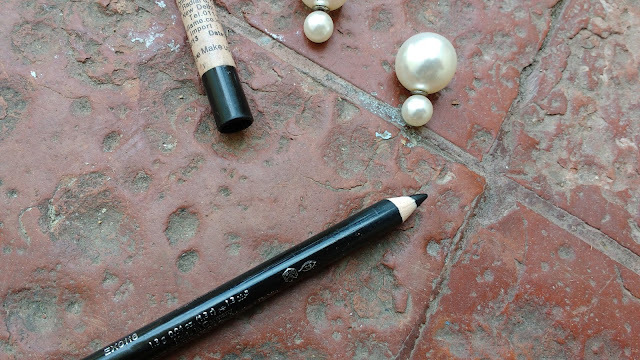 I love how smoothly this kohl glides on my waterline and it is also kind of smudge proof. It fades after 3 hours on waterline but doesnt give me racoon eyes which is a blessing. I prefer my kohls to last all day without smudging so this pencil is definitely not for me. If you are looking for a smooth everyday wear kohl this could be your pick but at the same price you can get a colossal or eyeconic which lasts longer !